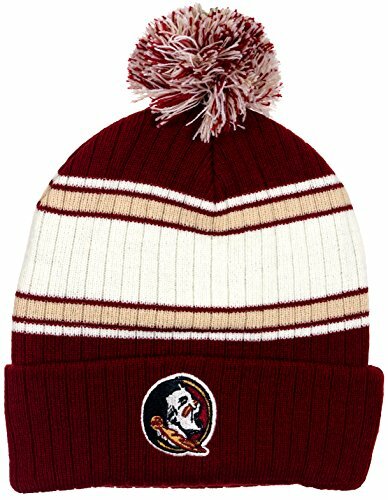 A must have for the guy who's a true Florida State Seminoles fan. Perfect for those cold fall and winter seasons this classic pom beanie features an over the ear style, wrap around 2.5" cuff, embroidered team logo on the front, team colors and wide ribbed stretch knit for great fit and warmth. 100% Acrylic. Machine wash cold inside-out, gentle cycle. Hang to dry.